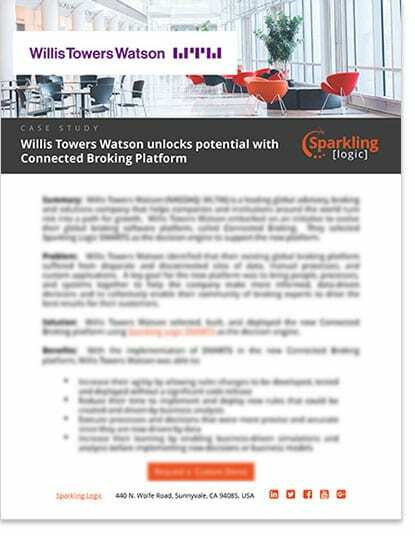 Learn how Willis Towers Watson selected, built, and deployed their new Connected Broking platform using Sparkling Logic SMARTS as the decision engine. Willis Towers Watson (NASDAQ: WLTW) is a leading global advisory, broking and solutions company that helps companies and institutions around the world turn risk into a path for growth. Willis Towers Watson embarked on an initiative to evolve their global broking software platform, called Connected Broking. They selected Sparkling Logic SMARTS as the decision engine to support the new platform.